It’s Time D-Heads! 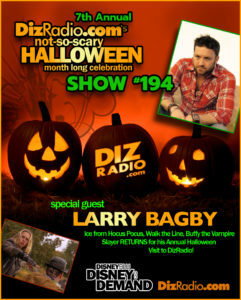 This we kick off our Annual Month Long DizRadio Not-So-Scary Halloween Celebration! 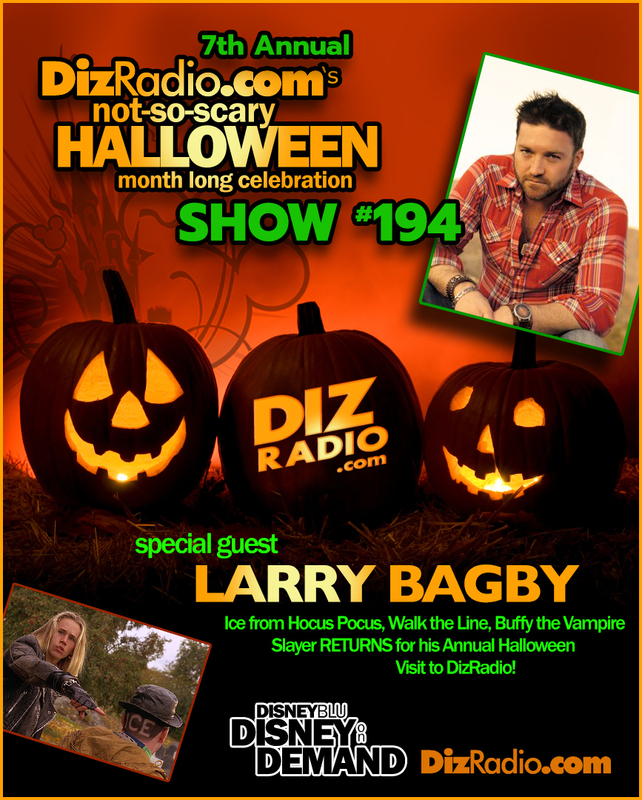 To help kick things off we welcome back our annual guest LARRY BAGBY (Ice in Hocus Pocus, Walk the Line, Buffy the Vampire Slayer, Musician) to the show! 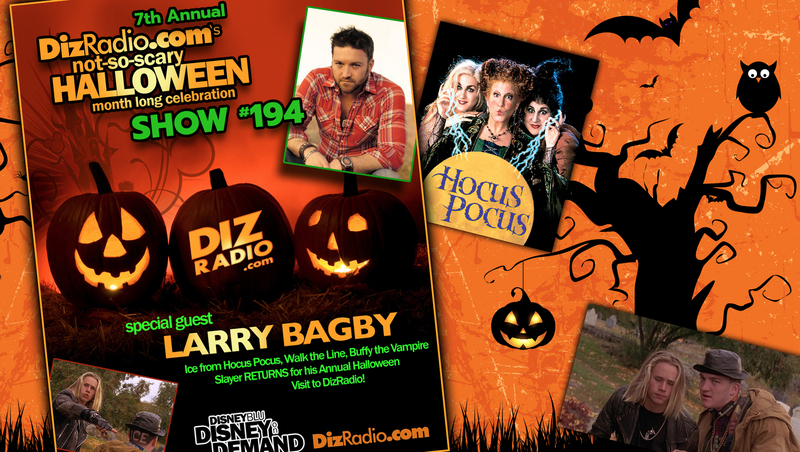 Larry talks about Hocus Pocus, the Hocus Pocus Remake, his Music and new CD, Trick or Treating, his Favorite Halloween Candy, Stranger Things, and more! In addition no Halloween Celebration is complete without the D-Team and we have Alexa coming at you with the latest in Disney Parks in 5! You ask the questions and Erin has the answers direct from his coffin in I Want To Know! Domenic is here to spook up tips for your Walt Disney World Vacation in The Short Leash. Paige is bringing some Halloween Magic to your ears in The Magical Music Review while Randy stops in with some fun Halloween Goodies for you. 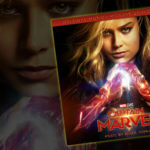 Nathan is here with what happened This Week in Disney History. And Trisha and Jamie are giving you some food with Magical Munchies! 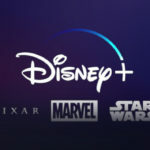 There is news fresh off the D-Wire with news about the Magic Kingdom, Mickey’s Not-So-Scary Halloween Party, HalloweenTime, Epcot, Disney Channel, Disney Junior, Disney Halloween and more!